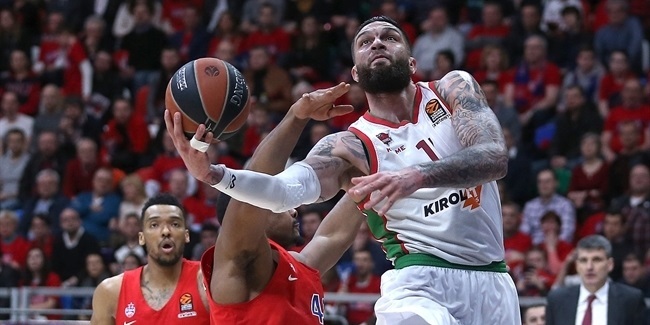 Anderson of Zalgiris and Teodosic of CSKA shared Round 4’s highest individual scoring total with 27 points each The league leading scorer through four games is newcomer Damian Kulig of PGE Turow Zgorzelec, with 20.3 points per game. Boban Marjanovic of Crvena Zvezda Telekom Belgrade hauled in 14 rebounds, the most seen in the Euroleague all season, in a home loss to Olympiacos Piraeus. Marjanovic is averaging 9 rebounds this season, second to FC Bayern Munich center John Bryant’s 10 per game. 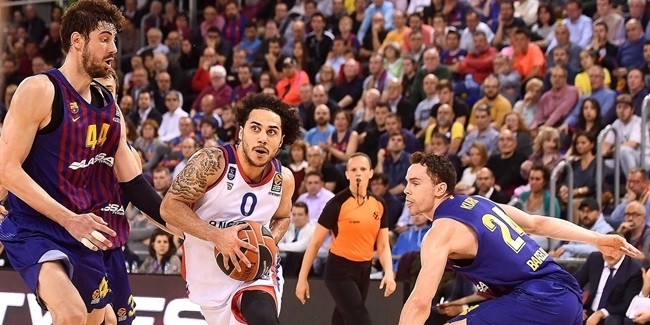 Reigning Euroleague bwin MVP Sergio Rodriguez dished a career-high 12 assists in Madrid’s Wednesday win. His total was also the most in the Euroleague thus far this season. The season-long assist lead is shared by Teodosic and Thomas Heurtel of Laboral Kutxa Vitoria with 7.5 per game each. Ten different players recorded 3 steals in Round 4. Dinamo Sassar’s David Logan tops the charts for the regular season with an average of 2.8 steals per game. Trey Thompkins of Nizhny Novgorod, Kyle Hines of CSKA Moscow, Bryant Dunston of Olympiacos, Stephane Lasme of Anadolu Efes and Furkan Aldemir of Galatasaray Liv Hospital Istanbul all blocked 3 shots each in Round 4. Thompkins, Hines, Dunston and Aldemir also share the season-long blocks lead with 1.8 per game. Seven players notched double doubles in Round 4. 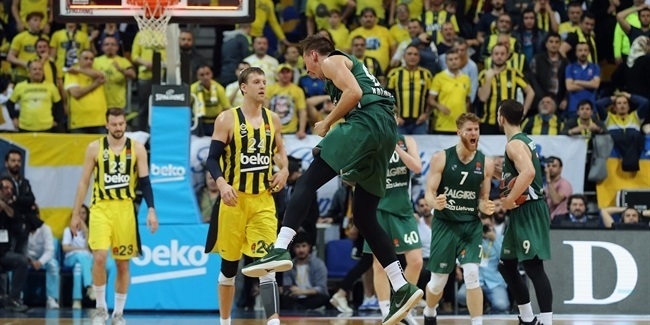 James Anderson, Luka Zoric (18 points, 10 rebounds) of Fenerbahce Ulker, Trey Thompkins (14 points, 10 rebounds), Shane Lawal (12 points, 13 rebounds) of Dinamo Sassari and John Bryant (11 points, 10 rebounds) did so with points and rebounds, while Jayson Granger and Teodosic had points-assists double-doubles.